- Search online to read customer reviews and look at MRS ratings. Ignore advertisements and focus on the products that have the highest ratings. There are several unbiased websites that include various product reviews that can help you in your quest to find the ideal meal replacement protein shake. 2. Know what you are looking for. 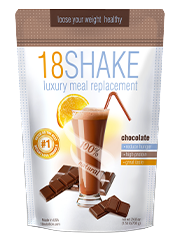 - Choose a shake that includes the correct ratio of protein to carbs, and includes fiber, vitamins, and minerals. 3. Use your shakes correctly. - Unlike fat-burning pills, meal replacement protein shakes replace up to two of your daily meals. Do not forget that they are called "meal replacement" shakes for a reason! Substitute a protein shake for one or two of your meals every day. - These shakes can reduce your appetite, so you may find it helpful to drink them in the morning for breakfast and/or as your last meal of the day so that you will not be tempted to snack. - Add fruits and veggies when you have your meal replacement protein shakes. - Different people have different food tolerances. When trying any new food or supplement, look for signs of an allergic reaction to determine whether you can safely add it to your diet. - Pay attention to how you feel when you add in the protein shakes. If they make you feel nauseated or cause other side effects, you may need to switch to a different type of shake or avoid them altogether. - Consult your doctor if you have a major medical condition so that you can ensure it is safe to consume the protein shakes. - Artificial sweeteners, especially sucralose (Splenda), aspartame, and acesulfame-k.
- Sweeteners including sucrose, glucose, refined sugars, dextrose, cane sugar, molasses, processed honey, brown sugar, evaporated cane juice, high fructose corn syrup (low amounts of regular, low glycemic fructoses are acceptable to consume). - Soy protein, which can cause immune system impairment, thyroid disorders, breast cancer, and kidney stones. Soy protein can also be harmful to women who are pregnant or nursing.